Just got my home office back today and found this charming origami zoo on my desk, courtesy of Denpa, Shigei and Yama, three japanese visitors who've been occupying my study for the past week. They are school chums of Paul's from when he was on student exchange in Japan. Such a sweet gesture. 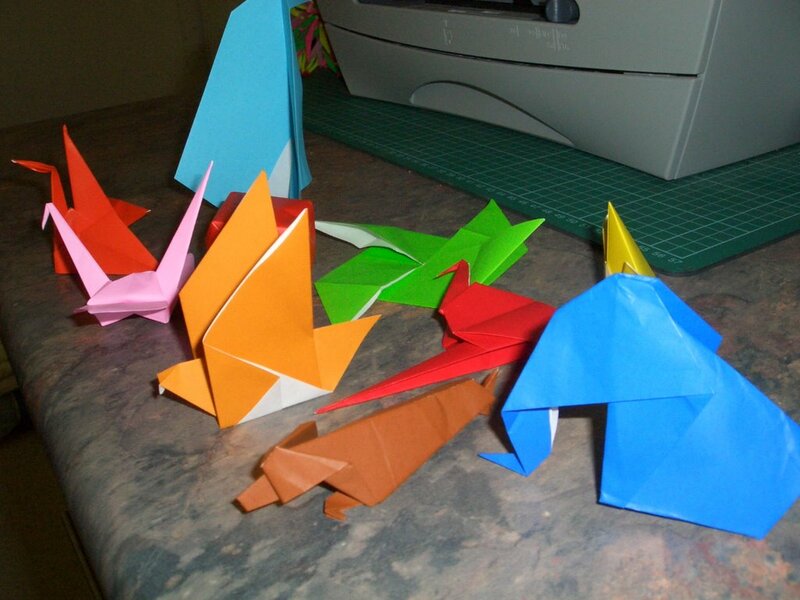 Can you imagine a trio of holidaying teenage Aussie boys making an origami zoo for their host?